This was a moment I have been keeping an eye out for, since I was a child! Tyler Museum of Art is a world class museum and it has been a place that inspired me growing up. It is right next to Tyler Junior College, which is where I started college, and so I would often go and check out the latest exhibit after my classes. 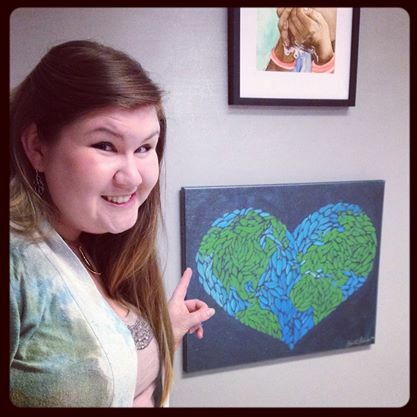 I have dreamed of getting my art in a show at the TMA, and this year the opportunity arose. The TMA was working with the Art for Peace and I JUMPED on the opportunity! My husband also jumped on it and we both were excepted! I have to say Im still buzzing from the excitement of the night!